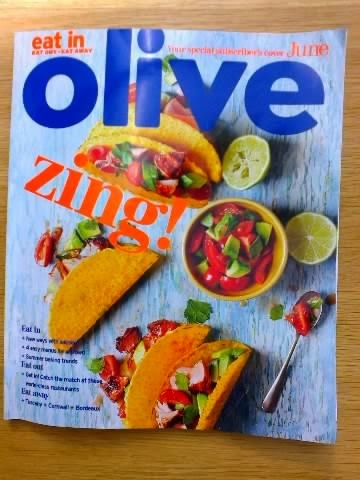 Some simple and stylish '10 minute tacos' adorn the cover of June's Olive Magazine and they look ideal for an easy summertime snack with the bonus being that they are low in calories. The same cannot be said for page 11's 'Doughnut Holes with Whisky Dipping Sauce', although Olive says, ''you can eat lots, they're only small''. I think not! This month's edition has all the regular features, including many London restaurants, few of us in the provinces will ever visit, like the Cadogan Arms on the Kings Road, the White Rabbit in Stoke Newington and Chilton Firehouse in Marylebone. Do Olive's writers think most of its readers are popping to the capital on a regular basis to eat at these expensive places. A meal for two at Chiltern Firehouse came in at £198, in their 'pro v punter' feature for June. What world are these people living in? The last time I was in London was October 2013 and even then we ate at a more modest priced bistro in Covent Garden, at £90 for two. All that said, the feature this month entitled ''Top of the Table'', asking restaurants from 10 World Cup competing nations to tell us how they will be supporting their teams, was not only very entertaining, it did highlight eateries in Bath (France), Liverpool (Brazil), Blackburn (England), Manchester (Argentina and Mexico) and York (Italy) . Yes, all the rest were in London! 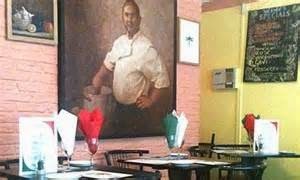 ''Il Paradiso Del Cibo'' in York (below) sounded a loud and lively place and no surprise, their Pizza Margherita was identified as their most patriotic dish, with Peroni or Moretti beers the ideal for toasting Italy's victories or downing sorrows. As for Liverpool's 'Fazenda' supporting the host nation in the competition, the rump cap is the Brazilian's most patriotic dish with a Caipirinha, a sugarcane spirit, to wash it down. 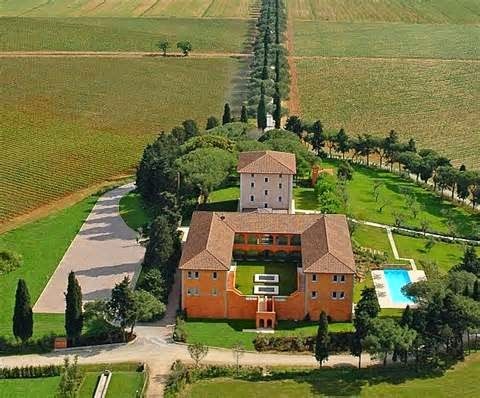 'Five Quick Trips for June' made interesting reading - the Italian retreat of L'Andana (below), looks enchanting and is in my favourite part of the country - Tuscany. Sadly at rooms from £1,400 for seven nights, including breakfast, I'll have to find a cheaper Pisa hideaway this summer. The other four trips need a mention too - Bordeaux for its wine festival from 26-29 June, a Beach Break at the Priory Bay Hotel on the Isle of Wight with rooms from £160 per night, Rick Stein's Seafood School in Padstow and finally a weekend in Helsinki, to taste the new Nordic Cuisine. Finnish tapas certainly looks appealing and having tasted a similar range of delicacies in Stockholm, the Finnish capital could be one to try. 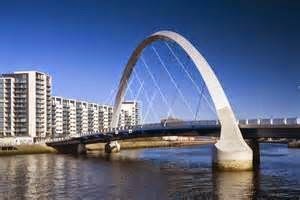 With Glasgow hosting this summer's Commonwealth Games, it seems that the Scottish tourist board is trying hard to attract publicity, with journalists from around the country being offered freebie weekends to the city. My daughter has just returned from one, with her pay-back being to write 500 words for her magazine. Olive's Audrey Gillan, appears to have made a similar journey, judging by her 'On a Shoestring' feature on the Scottish city. She makes good suggestions on cheap travel, modest hotels and affordable eating places. I am attracted by a visit to Glasgow (below), but I'll wait 'till the Games are over. New cooking ingredients seem to be flowing onto our supermarket shelves daily and June's magazine tells us about some of the more unusual. 'Ready to Eat Pork Floss' from Vietnam can only be describes as weird, 'Yangnyeom Tongdak', a Korean fried chicken looks delightful. But what about Orange Wine or 'Cubeb Pepper' or 'Grits' or 'Chiboust'? 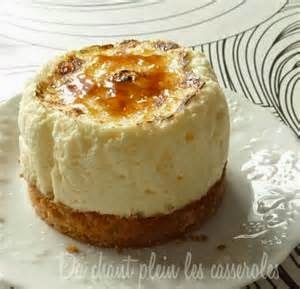 I'll go for the latter, a cross between crème patissiere and an uncooked Italian meringue (below). There certainly are some challenging new products to get your teeth into! Olive tells you where to get them, but don't be surprised if you have to go to London! Some good 'In Season' recipes this month particularly those with courgettes, cucumbers and carrots, though its going to be a another month before my allotment yields these vegetables. 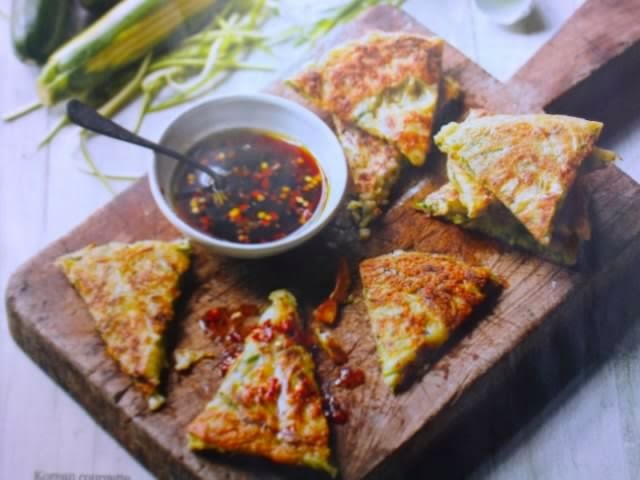 I like the look of the Korean courgette pancakes with dipping sauce (below). (I went to a Korean Evening at our church recently and was surprised how tasty authentic Korean food, cooked by Koreans, can be.) Olive offers a dearth of seasonal recipes using lots of fruit like cherries, gooseberries, blueberries and apricots. I could not resist the 'Easy Italian Spread' - what a super range of dishes under this article. 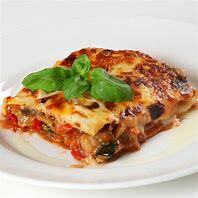 If you love Italian food then there are some great recipes here. Equally, the 'Scandi-style menu' shows some exciting Scandinavian fayre. Finally, if you love fish then 'Cook like a local' goes to The West Country and features Smoked haddock and spring vegetable chowder and Cornish scallops with brown shrimp butter. This part of the UK has a wealth of award winning produce, Michelin-starred restaurants and celebrated chefs as well as a food language all its own. Thankfully, Olive provides a decoder. 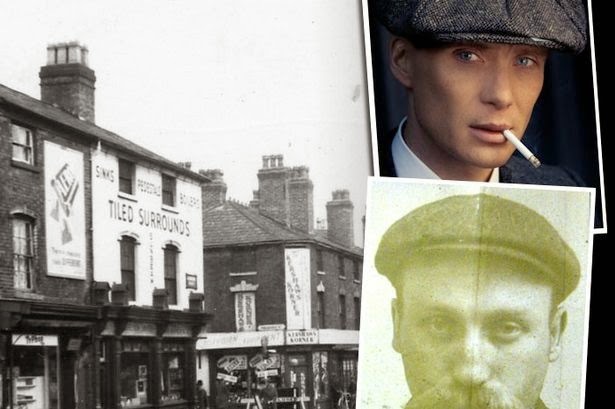 Maybe Londoners will venture out of the Capital this summer!